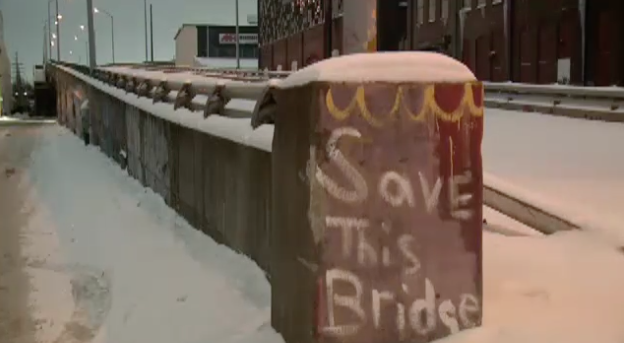 Erie County Council to Vote on Ordinance that could help rehab Viaduct — Why Save the Viaduct? To Keep Kids Safe. Many Eastside residents rely on the Viaduct to walk or bike to get to school, work, shopping no matter what the weather. Erie County Council will be voting on three significant pieces of legislation including Ordinance #128 which will levy a $5 vehicle registration fee to fund repair and construction of municipal bike paths, roadways and bridges. The fund is expected to generate over $1M annually, and, if the MPO approves, this could easily cover the $1.3M gap in funds needed to fix the McBride Viaduct bridge for continued use as a pedestrian and bike artery. (PennDOT has confirmed they are able to transfer $1.7M in demolition funds towards the $3M cost of re-skinning the 80-year old structure. Newer Post"Let the truth be known"
Older PostWISU WSEE Erie News Now reports "Optimism for Viaduct"